HomeQuack TreatmentshomeopathyHomeopathy Don’t Kill People, Homeopaths do. Right, let’s get serious. It’s the end of Homeopathy Awareness Week and enough of the jokes. You might be surprised, but actually, I don’t have too big a thing against homeopathy. If people want to pop into Boots the Quack and buy a tub of sugar pills and give one to little Timmy when he falls off his bike with a ‘there, there’ and a kiss on the forehead, then I would be really Mr Grumpy Spoil-Sport to object. If someone with a longstanding health complaint wants to spend an hour chatting to a homeopath and get lots of fuss and attention in a way that the NHS could never provide then I hope it turns out to be a valuable talking therapy session. After all, its just sugar pills and the placebo effect and, as we are constantly reminded, there are no side-effects. But mainly because there are no effects too. Fine. All good and dandy. It’s not the pills that upset me. Its the dangerously deluded thinking that goes with it, the rejection of rational ways of understanding health, and the refusal to hold any sort of meaningful debate about what role complementary treatment might really play. Head in the sand. Three Wise Monkeys. It is this lack of self-appraisal and the refusal to draw boundaries that is scary. We saw this earlier with the Sense-About-Science and Simon Singh sting on homeopaths where the researchers asked several homeopaths for anti-malarial advice and without exception, got appalling, negligent and dangerous nonsense back. The homeopaths were quite prepared to send their ‘patients’ into high-risk malarial areas without protection and sensible precautionary advice. That sort of consultation could easily kill. The Society of Homeopaths initial response to this situation was bizarre and frightening, essentially denying that there was an issue that needed addressing. It responded in a confusingly contradictory way later on, with a little better advice. It is not homeopathy necessarily that is quackery. It is the homeopathists’ lack of awareness of the boundaries and limits to what they do that constitutes quackery. And dangerous quackery too. Here is another way that this recklessness has manifested itself and follows on from my earlier posting on homeopathic first-aid kits. 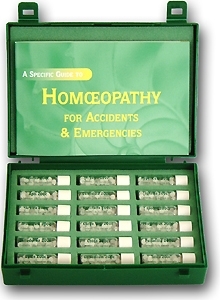 Homeopathic First Aid kits appear to drag homeopathy into an area that is far from its origins. Homeopathy has survived because it is a mostly harmless intervention for non-life threatening, self-limiting conditions, e.g. tiredness, headaches and minor aches and pains. Thus, the standard tricks of the mind, such as post hoc reasoning, misattributed placebo responses, regression to the mean, and so on, are systematically interpreted as proof of the effectiveness of the intervention. An essential first-aid remedy kit for the home, car and workplace specifically formulated to be used in even the most severe emergency and accident situations. I was somewhat alarmed that there was serious suggestion that homeopathy was a suggested course of action in the ‘most severe emergency and accident situations’. First Aiders are trained to save lives by establishing airways and circulation and preventing shock. Sugar pills have no part here. So, I wrote off to a few people to see what I could do about it. Thank you for your e-mail and comments. We have amended the information on our web site to clarify the intended use of this kit. Please note it is well within the scope of homoeopathy to prescribe routinely for acute injury situations as they have have well defined similar symptom pictures in most cases. Within the range of remedies in the kit there is room for differentiation for the knowledgeable prescriber, paramedic or first aider for whom this kit is designed. I hope this allays you concerns. Allay them? Partially. At least their web site, and their distributors’ web sites, appear to have a less aggressive statement about their product. But, their belief is still that sugar pills have a role in “acute injury situations”. I wonder what evidence there is for this? How do they avoid the homeopathic healing crisis that is talked about in an already critical situation? And aren’t remedies supposed to ‘take time to work’? Importantly, someone fiddling around in their little green box for the right ‘remedy’ is abdicating the prime responsibilities of the first aider. It is absurd to think there is a role in life critical situations for delusional healing fantasies. So, I also wrote to the Society of Homeopaths. This body likes to think of itself as a professional regulatory body and surely, it would not endorse any practices within its remit that could injure patients. Surely, this is about as serious as it gets in he misuse of homeopathy. Does the society endorse such products? If not, would a suitable announcement be important to alert the public that these products may not be in the best interests of injured people? As to whether The Society of Homeopaths endorses these or any other products, the simple answer is that we do not. Our Code of Ethics &Practice states that ‘no member may use their Society membership in the commercialisation of any product or remedy”. We do have long standing relationships with all the homeopathic pharmacies, with a link to them from our own website. However, this does not extend to endorsing their products. I hope this clarifies this situation for you. Application of homeopathy, or any other unnecessary intervention in ‘severe emergency and accident situations’, would be strictly counter to the immediate needs of the situation and could even be harmful. 1. Is this a statement you would agree with? 2. By linking to the Helios and stating you can buy first aid kits there, are you not implicitly endorsing these products? 3. Should you agree with statement 1, should the Society be taking steps to ensure that it distances itself from such products and alerts its own members, and the public who may visit your site, that this is a dangerous and irresponsible use of homeopathy? Surely as a recognised complementary therapy, users of homeopathy should be well aware of the boundaries of its complementarity and an emergency situation is one that should be left to trained paramedics and first-aiders? It would look like the Society of Homeopaths does not give damn if the public or its member are under the impression that homeopathy can be used in critical situations. This does not surprise me in the slightest. When you are immersed in a subject that is impervious to critical debate, evidence and reason then the boundaries around what might be good practice and what might be poor practice become totally arbitrary. There are no standards that you might apply to decide where to draw the limits. If you accept the ability for homeopathy to treat hayfever on very poor standard of evidence, why not accept that it can treat malaria, cancer and road traffic accident victims too? Indeed, the easiest path of all is to draw no boundaries whatsoever. Why get embroiled in a debate with your delusional members? It could only reduce membership levels after all. The Society of Homeopaths would like to see itself as a regulatory body for the profession. Indeed, some members believe it is. But it is no more a regulatory body than a golf club is a regulatory body for golfers. It is a members club, a registrar of the delusional, and a cosy members club too. How many members ever get struck off? What would they have to do to earn the society’s wrath? So, does this sort of quack belief in the ability to treat acute situations ever really do any harm? There was case recently of a midwife that allegedly got in the way of paramedics to apply olive oil to the feet and herbal remedies to a baby in urgent need of resuscitation. The baby survived, but with severe brain damage. Yes, not homeopathy, but a person with the same bonkers belief that magic can be used to cure in life critical situations. Homeopathy, with its ridiculous pseudo-scientific explanations, is not a complementary therapy. Its belief system is in direct opposition to evidence based medicine and rational approaches to treatment. It instills a distrust in the medical profession and their ‘allopathic ways’ and their iatrogenic deaths. It is only a small step towards thinking that trained first aiders and paramedics need to step aside for their caring, more gentle homeopath. 37 Comments on Homeopathy Don’t Kill People, Homeopaths do. that is scary, where can i get a badge stating, ‘In case of emergency please use convential remedies only’ . Have they not considered the ethics of uninformed consent for this unsual treatment? These are the author’s opinions only. Please read my comment below. I have to say I am deeply concerned about this, not just because it detracts from the first aider’s role in an emergency (providing initial lifesaving care prior to emergency medical services) but because, off the top of my head, I can think of two conditions that the treatment would be contra-indicated for – Shock and Hyperglycemia (high blood sugar). With shock giving anything by mouth is putting the casualty at risk and giving sugar to a patient with high blood sugar can only make the problem worse. In addition if the patient is going to require anaesthetic in the immediate future then anything by mouth is also not recommended. Importantly for any “official” first aider (ie nominated workplace first aider) tempted to use these kits you are putting at risk your insurance cover as you are deviating from approved first aid practice. The author’s description of first aid situations are not facts, but merely and exaggerated opinion. Please read my comments below. The homeopaths haven’t thought this one through – surely the homeopathic treatment for stabbing yourself in the leg with a syringe needle would be stabbing you just a tiny bit with another needle? Or waving a beaker of water near it that had once contained a needle? The first aid situations are merely an opinion or imagination of the author. Please read my comments below. I understand the idea that homeopathy is not to be used in immediate life or death situations i.e. getting in a car crash; however, there are numerous legitimate medical journals that have case analysis of cases where homeopathy did save lifes. Sadly, modern medicine has bee stifled by corporations that feel charging a patient hundreds of dollars to cover the symptoms is better than an actual solution to a condition. I would not have been so offended by this article if it had been beter written and had provided a two sided argument. Of course, “death by doctors” is nothing new and is rife in modern health “care”. Null and Dean reported astonishing figures in their paper “Death by Medicine” published in the Nutritional Institute of America in November 2003. They showed that in 2001 the number of deaths attributable to medical interventions in the US was a staggering 783,936, whilst that for heart disease was 699,697, and that for cancer, 553,251. Dr. Vernon Coleman, an experienced doctor comments in his book, Betrayal of Trust, that one in six British hospital patients are in hospital because they have been made ill by their doctor. He also outlined a study in Australia that showed 470,000 men, women and children are admitted to hospital because they have been made ill by their doctors. In America, 200,000 people die each year as a result of medical accidents. Coleman illustrates these worrying statistics by the fact that when doctors in Israel went on strike for a month in 1973, admissions to hospitals fell by 85%, and the overall death rate in Israel dropped by 50%. The same thing happened in Colombia in 1976 where a 52 day doctor’s strike resulted in an 18% reduction in the death rate and 60% fewer operations. And when physicians went on strike in the United Kingdom for a month in 1978, deaths dropped by 40%. When all these striking doctors returned to work, the death rate rose again to its pre-strike level. Of course the doctors were embarrassed by these statistics and tried to deny them. If homeopathy works only as a placebo effect, then why does it work particularly well with animals and children? That’s still a placebo effect. Parents/pet owners expect their child/animal to get better, so they see what they want to see. Imagine, taking your favorite CD to party and dancing and singing to the music and suddenly you discover all the party goers were deaf, what a hard time you would have trying to explain your behavior, you have to explain what sound is, what music is, what musicians are and how the hell they all got in the little bit of round plastic going round in circles, they would think you were absolutely stone raving bonkers now wouldn’t they??? Homeopathy = less is more. You take a drop of substance B and put it into a vial of distilled water. You shake that vial repeatedly. Then you take a drop from said vial and put it into a different vial of distilled water and shake it. Repeat. You do this so many times that there are no longer any molecules left of substance B in the last vial of water. Then you stick a tag on it that says “Substance B” and make claims that it can cure some ailment or disease. And how can pure water cure a disease? Why, because the water *remembers* the qualities of substance B! The memory of water has been disproved. Yes, you do look stone raving bonkers. One might start to believe you if you could define what ‘bio-energetic disturbance’ is. Are you sure it is not something you have just made up? And what does it have to do with this artice? I have been into homeopathy, aromatherapy and massage therapy my whole life and it has helped with my own ailments and others around me. It is fine if you don’t believe it, or make money off of prescription drugs – but to insult all is a bit childish. Take it out on the company and not all homeopaths. FYI – Emergency homeopathic remedies are for immediate help/relief while going to seek emergency care. The title of your article states the Homeopaths kill people. But nowhere in your article do you reference one certified death as a direct result of a Homeopath. This sounds like exaggerated opinion for the purpose of grabbing attention. Once again how is homeopath “dangerously deluded thinking” and “how is homeopathy a rejection of rational ways of understanding health”? From what point of view and what system of evaluation? Once again your opinion. Your discussion about the person named Simon Singh. Once again no references, to be checked. Just you opinion without any visible facts. No proof of the response from The Society of Homeopaths. Again without visible proof, this is just an opinion. Your argument about First Aid kits, your basic definition that First Aid situations,” you are dealing with medical emergencies where the immediate course of action can have far reaching consequences”, is once again an exaggeration. For example, if a person cuts themselves, and places a band aid on the cut they are performing first aid. Once again you go to the extreme to find an exception, which no reasonable person would do. The ultimate insult to any thinking person is your guilt by association when you compared homeopaths to a reckless midwife. I quote–“There was case recently of a midwife that allegedly got in the way of paramedics to apply olive oil to the feet and herbal remedies to a baby in urgent need of resuscitation. The baby survived, but with severe brain damage.” This association is not made by any homeopath or related group, but only by an author without any logical connects. In conclusion, I ask you–where is the proof of a homeopath that has killed someone? Proof would be imprisonment or fine of a homeopath as a result of a death. All I see is an author with a lot of opinions and no facts and an axe to grind. Thanks, that’s 1 fact 5 more opinions to go. The quote from http://www.healingdaily.com/Doctors-Are-The-Third-Leading-Cause-of-Death-in-the-US.htm says “This is a total of 225,000 deaths per year from a physician’s activity, manner, or therapy.” So the score is 1 death (multiple years) as a result of a homeopath and 225,000 (one year) a result of medical doctors just in the US. When are you going after the MDs? Firstly, Fred – please do not spam comments. You made your point, that is enough. Secondly, I am not convinced you know what homeopathy is. They are just sugar pills – they have no effects. If you believe otherwise, then this conversation will be short as you are obviously enamoured by the pseudoscientific. Thirdly, a classic quack trick is to say “don’t talk about that, talk about this’. That is what you do with your absurd quote above. It is irrelevant as to whether homeopaths cause harm or not and is a subject that can be tackled in its own right. Why is my questioning your opinions SPAM? What is the point I made? Is it that your article presents your opinions as facts. You say to stop, but you don’t stop attacking homeopaths. It appears when the tables are turned, you don’t like. What I know and don’t know is not the issue. The issue is opinion presented as facts with the purpose of discrediting. How is my quote any more absurd than your midwife comparision? I thought this article was about homeopaths doing harm. Now who is trying to switch the focus of the discussion? I am still waiting for the facts that back your other 5 opinions. SPAM is posting all those other comments pointing to another comment. You need only make your point once. Yes, I do write about my opinions here. But they are informed opinions based on the facts that homeopathy is a pseudomedical treatment based on discredited 18th century views of health and that it cannot demonstrate that it is effective for any named condition. Homeopathy is just sugar pills. 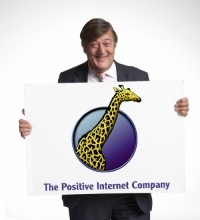 You are also quite right that I am trying to discredit homeopaths – and for very good reasons. They are capably of great harm because of their lack of self-awareness. Your quote is off topic because it tries to change the subject. Mine was on topic because it demonstrated how superstitious medical beliefs in emergency situations can be harmful. As for having to substantiate my other points. Perhaps you would like to show how homeopathy is not superstitious and that it is rational. These are not contentious issues. (Unless you are a homeopath). By the way Spam as defined at http://en.wikipedia.org/wiki/Spam_(electronic) is defined as “Spam is the use of electronic messaging systems (including most broadcast media, digital delivery systems) to send unsolicited bulk messages indiscriminately.” So, is this an example of your informed opinions. You don’t even use the word correctly. And you only need to slam homeopathy once. I will make the point once, when you make your point only once. My position is that you have only opinions and state them as facts. You admit that you are out to discredit, so show me the facts. I am still waiting for the facts. I never took a position as to being for or against homeopathy–only against smear campaigns based upon half truths and opinions. Your messages were indiscriminate and unneccessary. I see no reason to go further with you as you have not actually countered anything I have said – just tried to label what I write as mere opinion. If you disagree with something, then we can have a worthy discussion. But without saying what my ‘half-truths’ are, I am not sure how to proceed. I see you are quoting opinions as proof of you hypothesis that homeopathy doesn’t work or does harm. Not one reference. By the way, I see you are finally starting to provide some references. Thanks. For homeopathy to be proven useless, you need multiple blind studies by multiple researchers with medical statistical analysis and all the details published in peer reviewed journals and based upon that research governments to outlaw the use. So once again your basis is opinion not fact backed by science. Your discussion of first aid is what I consider a half truth. See my original post. So what are your motives for your campaign to discredit homeopathy? How do you benefit personally? How do we proceed? Hummmmm. Maybe you could start using references to back all your facts and label the rest as opinion or editorial and expect outlandish comparisons (i.e. midwife) to produce challenges or maybe be skip them. And I could only respond when I have a question about your facts or opinion or challenge you on your outlandish comparisons. I think you are trolling. I have asked you to state what it is you disagree with and instead you persist in spurious requests for references. My article above is based entirely on the mainstream viewpoint that homeopathy is an inert treatment based on supersitious views of medicine. From that simple fact, all else follows. No dark motives are required – just the simple observation that if people take sugar pills believing they can help serious conditions they will come to harm. I would suggest that if you disagree with this, then indeed the onus is on you to provide your own reasons and evidence that this is a reasonable position. Fred, I’m going to reiterate a previous comment of mine to you because you seem to have been dropped. There is a one million dollar prize for anyone who can scientifically prove that homeopathy works. That prize is still waiting to be collected. I have come up with my own brand of medicine I want the NHS to recognize. It is based on prayer to the Elf Master(tm). First I conduct a sincere and compassionate interview with my patient. This is followed by a thoughtful response using scientific-ology words and vague references to ‘Elf-ishness’. Afterword I pray for intersecession by the Elf Master(tm). It is exactly as effective as prayers to other gods, homeopathy and Chinese Medicine. It is backed by experts in the feild and has no side effects. 200 Dollars please. As is so often the case, homeopathy is not the only modality on offer. We have one of those sets of mutually incompatible therapies all bound up in one package. Of course, if any one of them actually worked, you wouldn’t need the others. go ahead and poo poo herbal remedies that have worked for centuries I’ll sjkip anything the AMA recommends! Yeah. Real medicines have real effects and real side-effects. No there aren’t. There are plenty of case studies in quack homeopath journals, but not in legitimate medical journals. Every investigation of homeopathic by medical science (i.e. not homeopaths doing their own “studies”) show it to be no more effective than placebo. Every single investigation. “Particularly well” is vague and relative. Cite a legit source that can quantify how well is “particularly well”. You may think it is clever to set up an unfalsifiable conspiracy theory, but it actually only weakens your case.